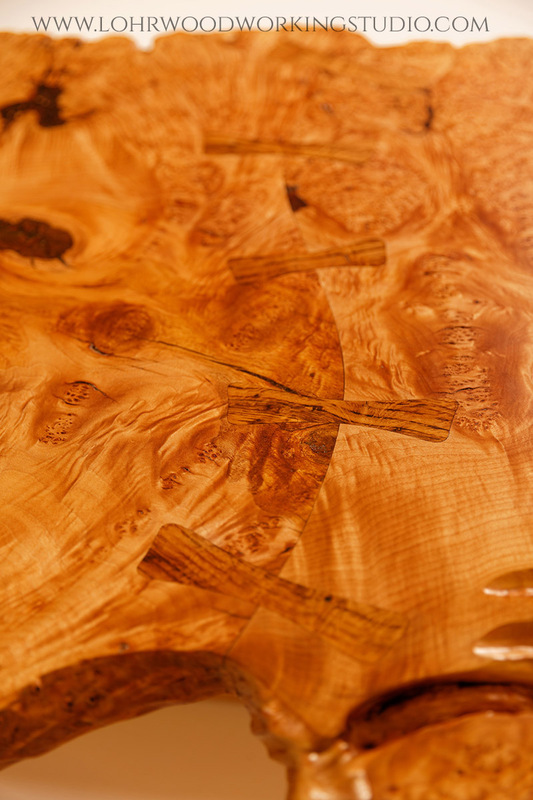 Commissioned for a vineyard in Chile, this coffee table was designed to be a functional statement piece. 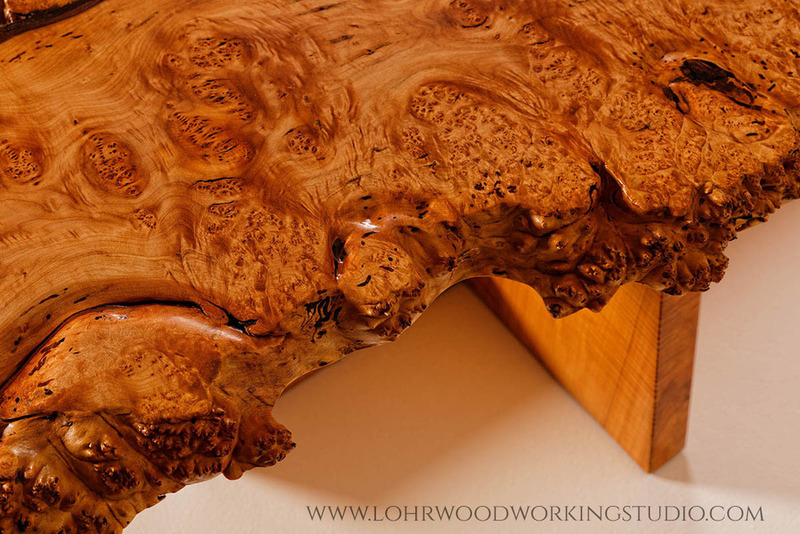 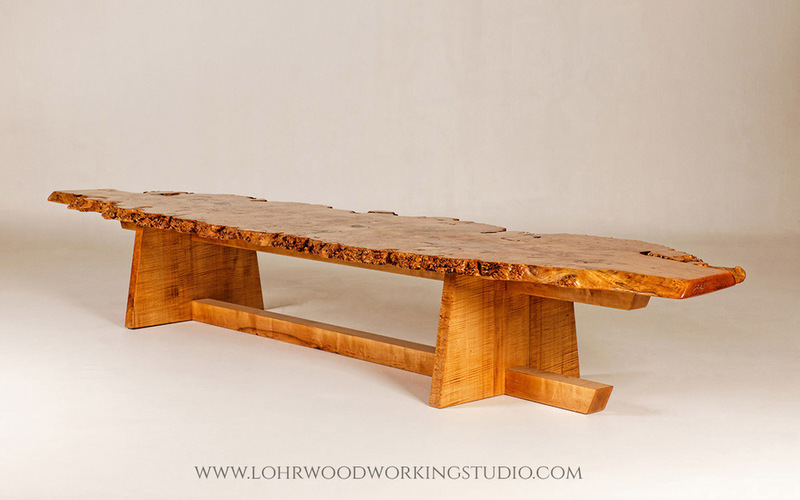 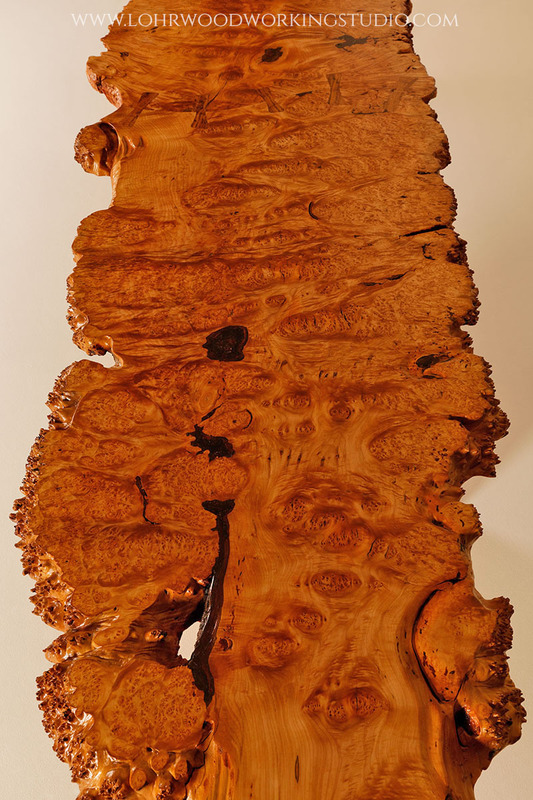 The top is unique because it is made of two highly figured free form Bigleaf Maple slabs (cut sequentially from the same tree) that are joined end-to-end with a serpentine joint. 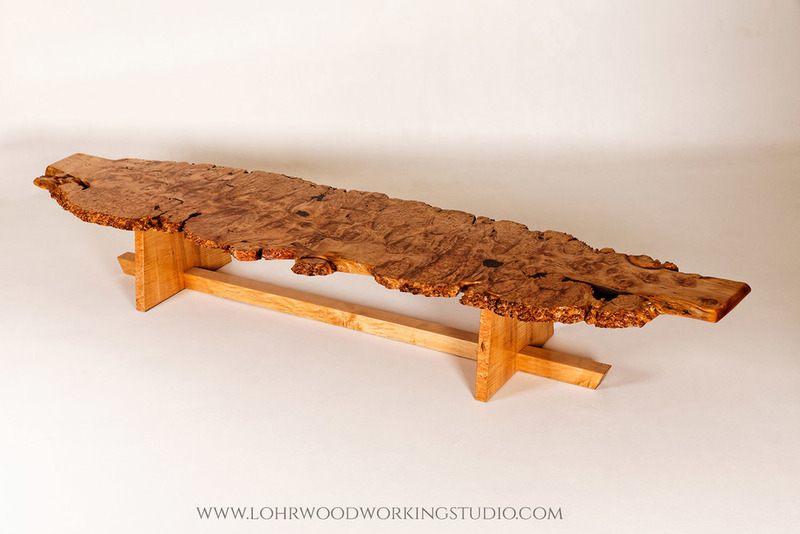 The trestle base is made of curly hard maple and designed to show strong, straight lines and angles that create a stong and stable platform to contrast the wild and dramatic figure found in the natural grain of the Bigleaf Maple live edge slab table top. 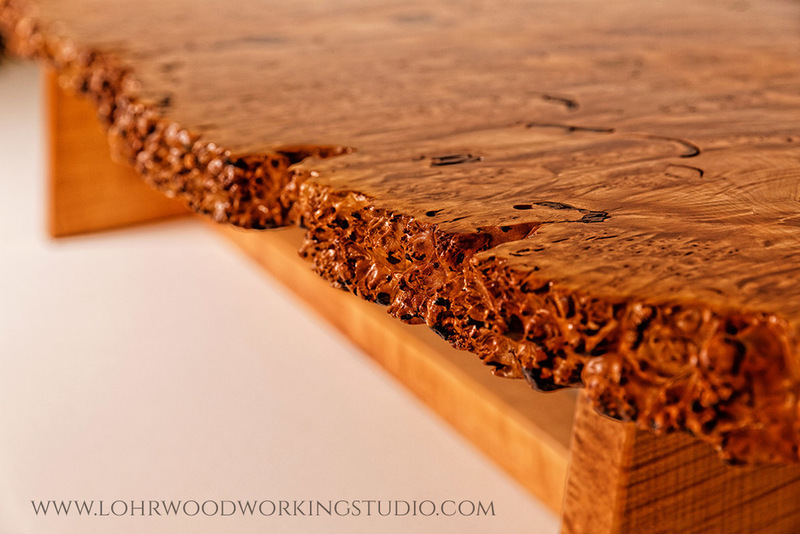 Read and see behind the scenes how this table was made!